The first thing you should know about our external hdd data recovery services is that we do NOT charge you if the data you wanted is not recovered. This seems obvious to us, but we’ve seen far too many companies charge a fee for a non-recovered drive. Just like all of our jobs, we offer free estimates on data recovery. Every external drive recovery is different and we can give you a quote for your recovery before you commit to anything. This type of recovery deals with situations where a drive is working normally but is taken from a malfunctioning device. Computers with liquid damage, broken screens, or dead motherboards fall into this category. 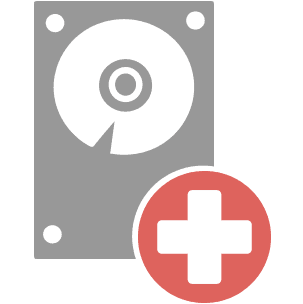 Tier 2 data recoveries cover hard drives with crashed partitions, sector errors, or logical recoveries. In this case, the hard drive is still mechanically functioning, but is either logically damaged or is beginning to fail. This type of recovery deals with mechanical failures. The most common recovery of this type is failing or completely crashed heads. This also includes jammed platters, liquid damaged PCB boards, etc. Special equipment is typically required to remove data from these devices. External hard drive data recovery comes in many different forms. We offer free estimates so you’ll know how much your recovery will cost before you commit to a purchase. PLEASE, make sure your data is always backed up in at least two separate locations. Hopefully you’ll never need data recovery, but if you do, our expert technicians are here to help. And as always, if you have any questions or concerns, feel free to give us a call or fill out our Ask a Question Form and one of our trained managers will be happy to help you!